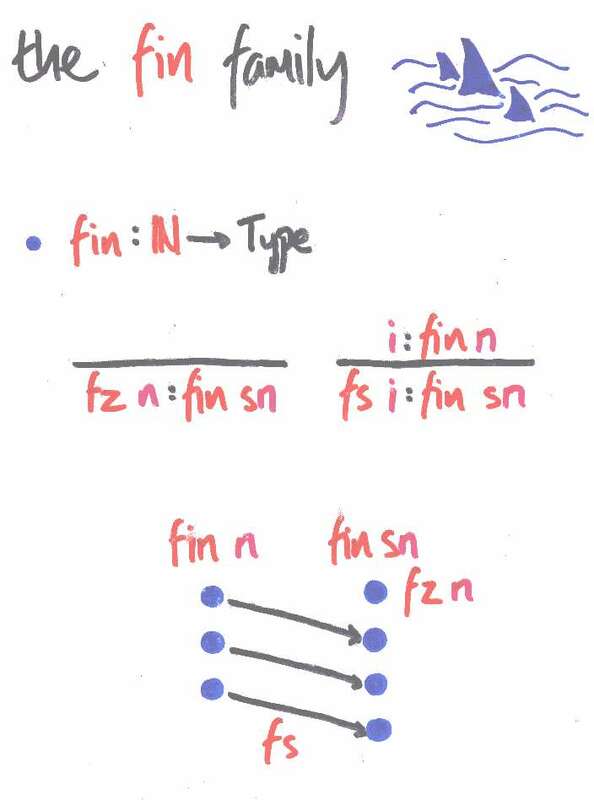 fin n is a type with n elements. There are no elements in fin 0. Each time we increment the size, we embed the old elements with fs and chuck in a new one with fz. I use these types to represent the finite collections of free variables over which terms in a syntax may be constructed. for the inductive definition of < as `strict subterm ordering'.